I see a common theme in the email and comments I receive, and in forums where people who are new to project management are active. A good chunk of you are asking about tools. Tools, tools, tools. MS Project. Primavera. Wrike. Basecamp. So many others big and small. There's a lot of money and attention in the "project manager tools" market. I am contacted nearly once a week by some company who wants me to do a review of their new wiz-bang software that slices, dices, and makes julienne fries. You'll notice however that I do not normally take them up on their offers. It's not that I think their products are crap. I'm sure they are probably very good. This is especially true for new project managers. If you've never drawn a network diagram on a sheet of paper and done a forwards and backwards pass to determine your critical path and slack, STOP EVERYTHING! Go do it for a small sample project. I can personally recommend the text I learned it from, "Project Management - The Managerial Process". See Chapter 6 in particular. Tools Don't Manage Projects. You Do. Don't get me wrong. I love tools too. They can be very helpful and allow analysis or rigor that just would not be feasible otherwise. In fact it is very common for me to create my own tools that are customized to my own projects. I'm a big believer in solid up-front effort to realize ongoing gains in productivity going forward. I can only do this because I took the time and put in the effort to understand the concepts first. So, as I always do in email and in forums where the topic is brought up, I urge you who are starting out in project management to seek an understanding of the concepts for formal project management first. Then you can become a tool head. Who Is Josh Nankivel? I am the founder of pmStudent.com, a site dedicated to helping new and aspiring project managers succeed. Learn more about project manager careers right now with my free eBook and newsletter! I think this is an excellent point. Although I work at a company that sells a great tool-Trakeze, we've always stressed to our customers making change that fit to their business. A lot of times this has nothing to do with a specific tool. It might not be a high ROI decision to tell our customers to not invest in our product, but doing the right thing pays long term rewards. 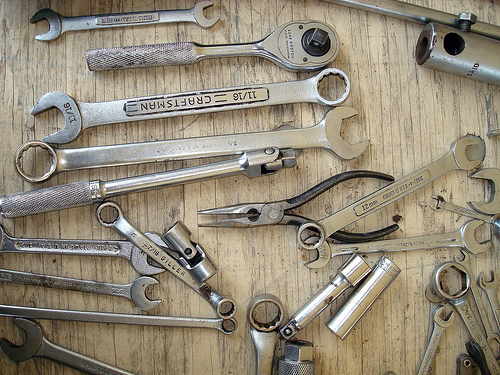 I think a lot of tool heaviness has to do with companies that proliferate their products without thinking about what's best for their customers.